NORTH RIVERSIDE, Ill. (WLS) -- In the west suburbs people honored fallen soldiers by lacing up their running shoes. 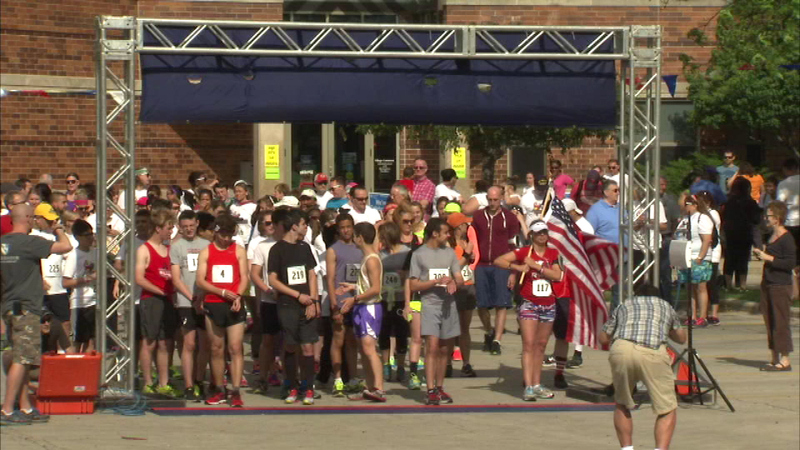 A sold out 5k run was held in North Riverside with a celebration after at Veterans Park. A portion of the race's proceeds is being donated to the Wounded Warrior Project, an organization that provides services to veterans wounded in action.